Rocky is a true testament to the unshakable love dogs have for their humans - even when those humans let them down. The 9-year-old pit bull was surrendered to the West Valley Animal Shelter in Chatsworth, California, along with his sister Cupcake after their family decided they didn't have the time to care for the dogs any longer. 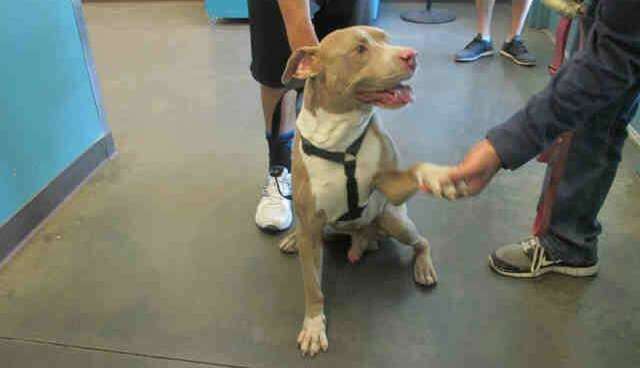 Even as Rocky's owner of nine years was leaving him at the shelter, Rocky reached out with his paw and shook the man's hand. It's possible that Rocky's former family didn't realize that surrendering Rocky to a crowded county shelter meant they were putting his life in danger, but as a senior pit bull, Rocky's chances of being adopted were slim. 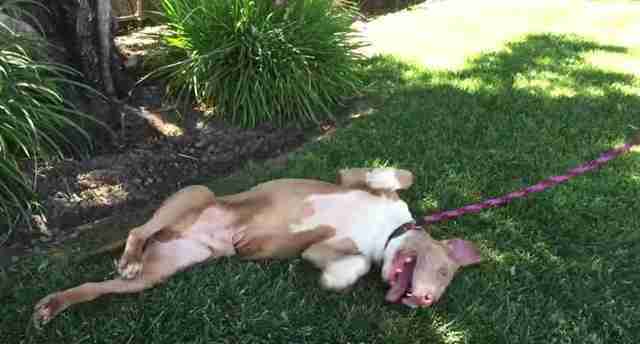 Pit bulls are the most euthanized dog in shelters, so the odds were stacked against him. "There is not much time left ... We see how much he wants a home and someone to call family ... 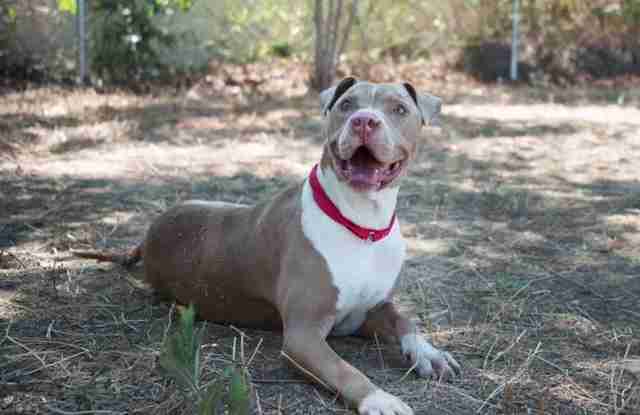 It would mean the world to us if he could find a home of his own soon." Rocky's life was saved in the nick of time, but there are thousands of dogs who are just as loyal, loving and sweet who are still waiting for new families to spring them from crowded shelters. If you're ready to add a rescue dog to your family, search for adoptable pets on Adopt-a-Pet.com.